Call (231) 266-5235 for more information! 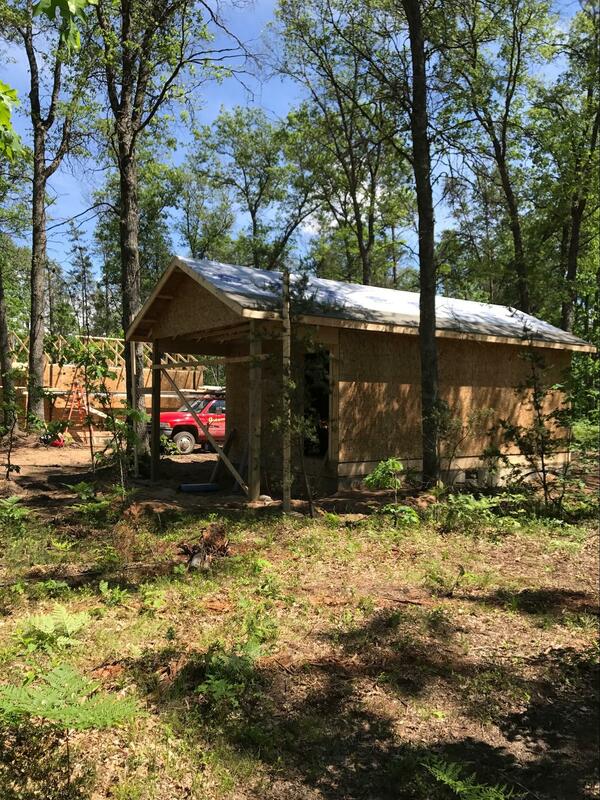 Located 18 Miles North of Baldwin With Direct Trail Access! In summer or winter, Irons, Michigan, is your headquarters for outdoors sports. And Best Bear Lodge & Campground is where the best snowmobiling and ATV trails begin and end. Contact us for rates and great amenities such as wifi, and make your reservations for fun in the great outdoors. 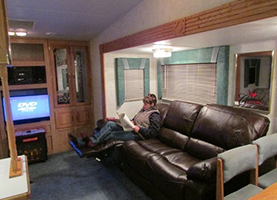 Best Bear Lodge & Campground features cozy rooms with full kitchens and DISH satellite TV with up to 200 channels. The Campground DOES have full hookups with electric and water, and other amenities that will make your stay one of comfort and economy as well as beauty. We are nestled in the community of Irons, in the northwest of lower Michigan, an area known for its enjoyment of all things outdoors. Irons has about one person for every 10 miles. So, you can be sure you’re getting away from the madding crowd of the city when you come to visit Best Bear Lodge & Campground. Our staff is dedicated to your complete comfort so you’ll make us your special getaway spot. And we welcome questions when you want to travel the best trails or find the best fishing spots. 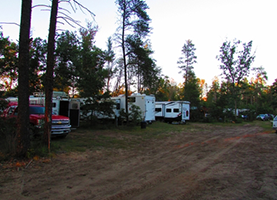 The campground is perfectly suited to those who want to be in the middle of the great outdoors. But you won’t be completely without creature comforts. In fact, our campground facilities can handle anything from the most modern road warrior RV to a simple pop-up tent trailer. There’s space for everyone, and you’ll soon be making new friends for hiking or sitting around the campfire. 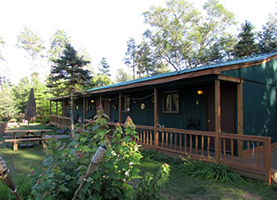 The entire lodge/campground complex at Best Bear Lodge & Campground is situated in the middle of 10 acres of pristine natural beauty, peace and quiet. 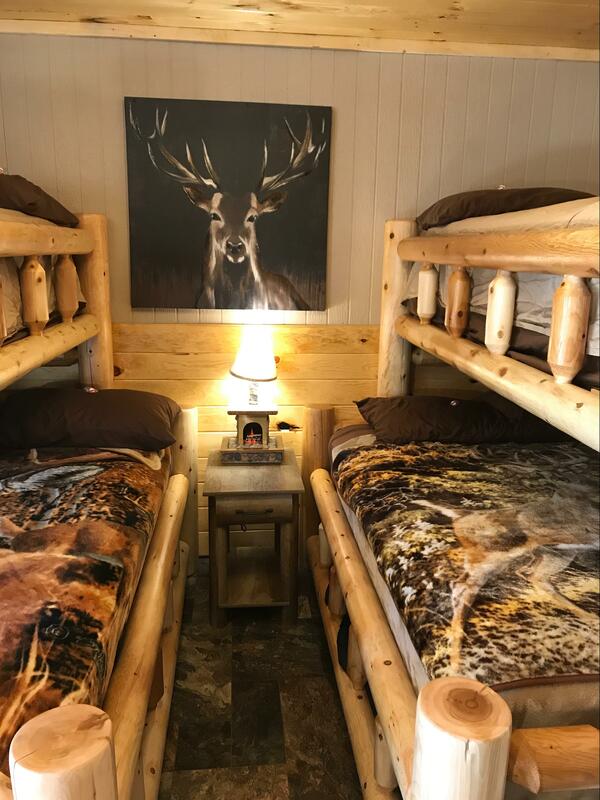 So, when you’re ready to hit the trails and need a warm spot to come home to, contact us at Best Bear Lodge & Campground for room and camping rates. Beyond Yonder new bedding arrangement. 2 doubles and 2 twins! Way Down yonder and Over Yonder are running right on schedule for the plumbers, electrician and heating and cooling. They will be getting started Monday and Monday Beyond Yonder cabin will be standing. 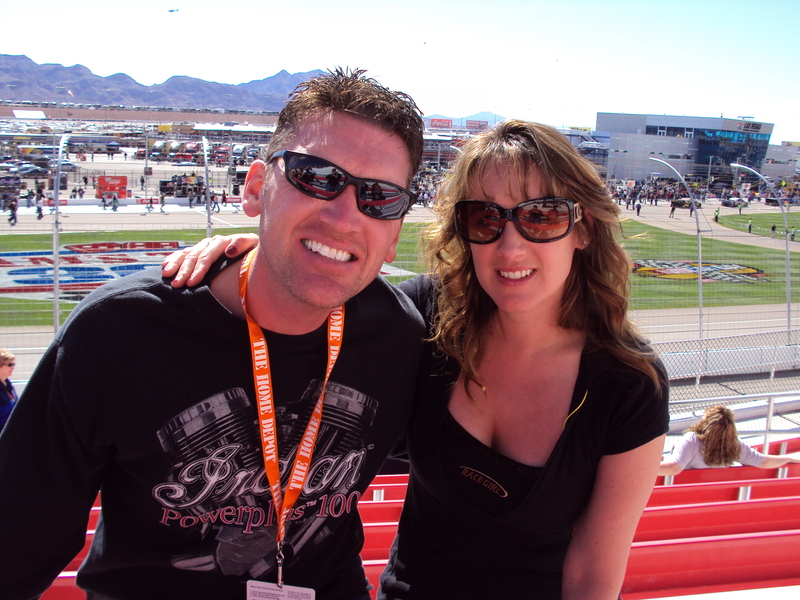 Check out this 5 star Yelp review by Lynn C.: We've been staying here for the past few years. It's a great base camp for snowmobiling & right off the trail. The rooms are spacious, clean & well... See the review on Yelp by clicking the link below.